When we licensed Munchkin to develop a hybrid version of it with Castle Panic, Justin was occupied with designing The Dark Titan, the second expansion to Castle Panic. That's when it occurred to us that it might be better to have a third mind creating the combination. I jumped at the opportunity. At that point, I had designed Bears! and co-designed Bloodsuckers. Mashing up Munchkin and Castle Panic as my next challenge sounded both interesting and simpler since existing, tested mechanics had been established. The easiest solution would have been a repaint, just slapping John Kovalic's art on Justin's game design. But that's not what we wanted for our Panic line variations. We wanted to build on some basic mechanics but provide players with a new experience, a new way to feel about their play. With Dead Panic, we changed up the objective and introduced characters. Instead of defending towers from relentless monsters (as in Castle Panic), players search a hunting cabin for items and weapons they can use to hold off zombies while survivors come with radio pieces that are used to call for rescue. As the players engage in hand-to-hand combat with the zombies, their characters can take damage. If they are wounded a third time, they die and reanimate in the game as zombies. Then they fight against their former teammates, who are struggling to get to the rescue van. The feel is very cinematic. 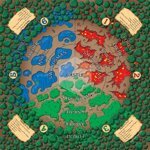 These modifications were a way to introduce the Munchkin player to the Panic world and to ease the Castle Panic player into backstabbing. 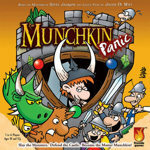 The full experience comes with the More Munchkin Mini-Expansion, which is included in the base game. 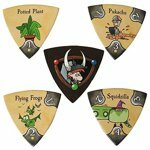 With that, the players have character abilities and nemeses (adapted from Munchkin), cards to enhance monsters, and a new rule: no more defending the castle. That means the towers have become a second timer on the clock, which players can help manipulate. All that matters in the end is who has the most points in monster kills, regardless of whether a tower is left standing. In true Munchkin form. The whole experience was not as simple as I thought it would be, but a whole lot interestinger (as Steve Jackson would say).